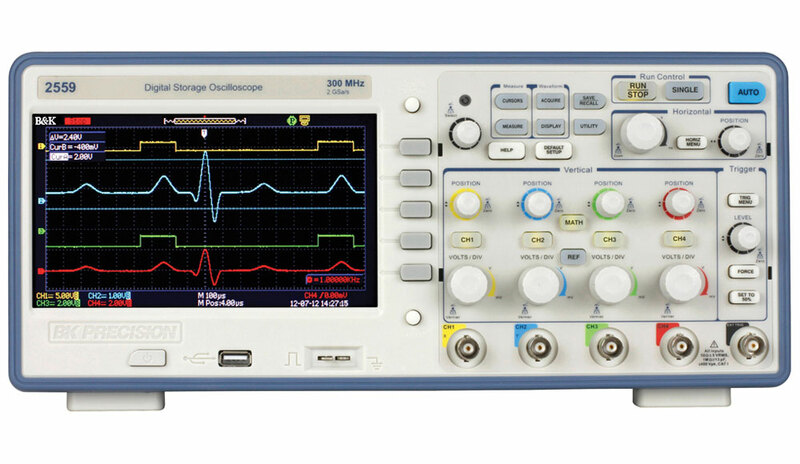 The 2550 series digital storage oscilloscopes deliver performance and value in 2-channel and 4-channel configurations. 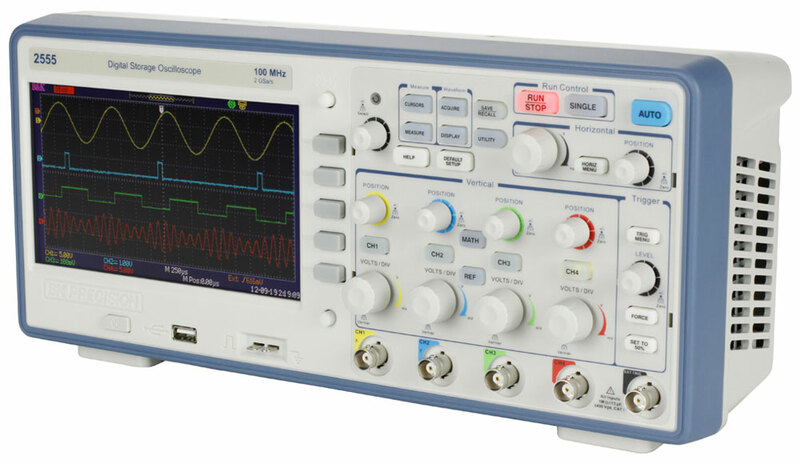 With bandwidth from 70 MHz to 300 MHz and 2 GSa/s sample rates, these oscilloscopes offer 24 kpts/Ch waveform memory, 32 automatic measurements, and advanced triggering capabilities including math functions. 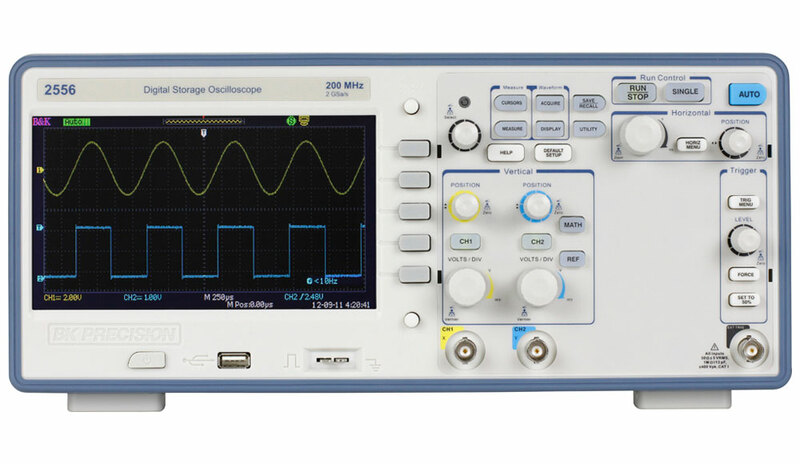 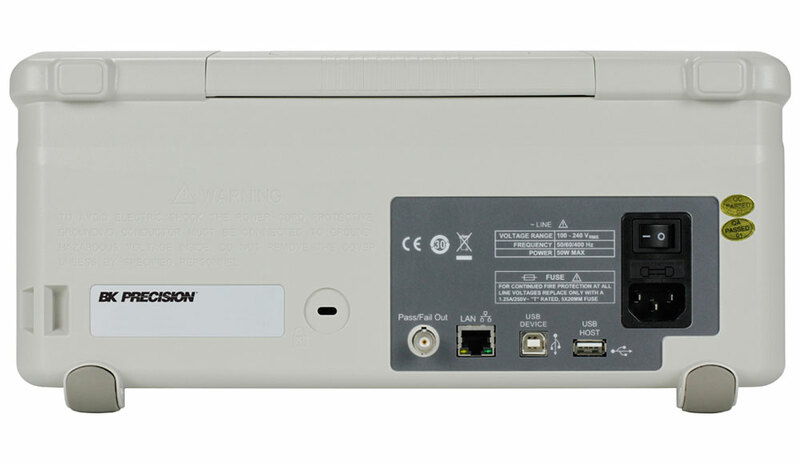 Engineered to allow you to see more of your signal under test, the 2550 series’ widescreen 7” TFT display offers a significantly larger viewing area than typical economy oscilloscopes (5.7”). 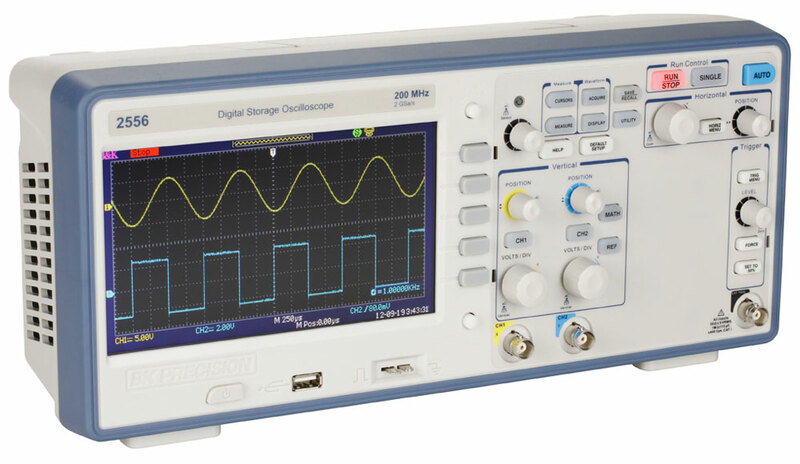 Download waveforms from B&K oscilloscopes, AWGs, or load them from CSV/text files. 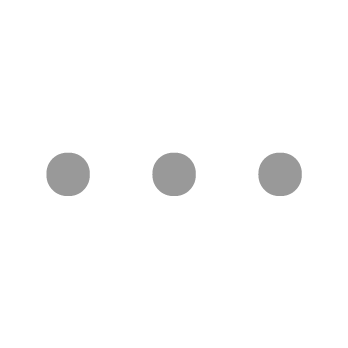 If the voltages you need to measure are above the specifications of the general purpose probe, B&K Precision has higher voltage probes for you.